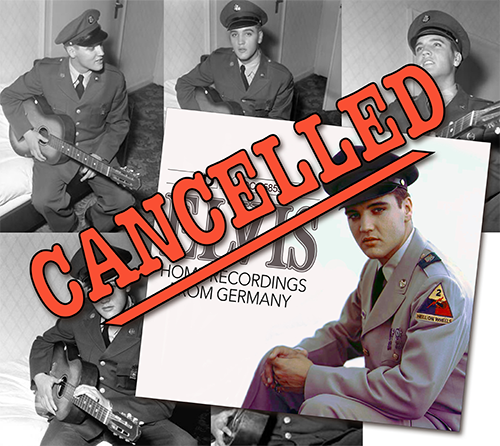 WE are very, very sorry to inform you that, due to the low response of our offer to GIVE out the home recordings restored on CD for only production costs, is cancelled. We need a minimum of 300 orders to break even. At the moment the numbers are too low. The material is ready with correct facts and background information. Not like what all announced releases of these home recordings state. We wanted to enclose the complete fool sessions and a short unreleased conversation from a German fan with Elvis in Germany in 1958 about music with was very informative from Elvis side. As also rare kindly donated unpublished photos. We realize that an act of generosity less appreciated than asking the full amount. We thank the people who have confidence in our release, they were right, And as a thank you we will make sure they get our regular upcoming Elvis release for production cost. We promise it is really great. Don´t cry. Another Import label will release this material. Really wanted this - so disappointed! Due to low response !? What the … ??? What a frog !! !